Bennett’s journey with food first began at his family’s restaurant located in the Okanagan Valley, British Columbia. 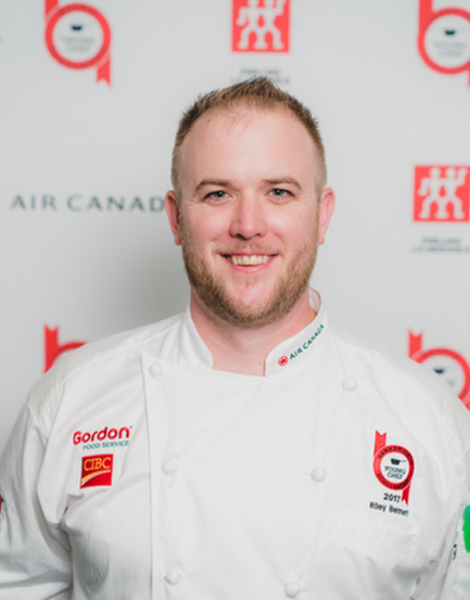 Thanks to the encouragement Bennett received from his high school chef instructor, he pursued his passion at the Southern Alberta Institute of Technology in Calgary. While at S.A.I.T. and apprenticing at The Calgary Westin Hotel, Bennett had the opportunity to compete provincially, nationally and internationally under the tutelage of some of the finest chefs from around the world. Bennett returned to BC to work at Sooke Harbour House and then worked his way up the ranks to be restaurant chef at Mission Hill Family Estate Winery in Kelowna, BC. He has cooked for the Belgium Ambassador, Governor General of Canada and has had the pleasure to work with Michelin starred chefs from around the world. Currently Bennett is a professor at George Brown Chefs’ School and previously mentored chefs at The Chefs’ House in Toronto.